The continual quest for snow is leading to exploration. The snowfield that has been my before-work staple since early May is melting out quickly, so I'm trying to find another option. Into a land I've never been before, through dense pine forests and a trail that I dare-say hasn't seen a footprint in five years. Different flowers from others on the tundra. The snowfield is big. A solid 1,000 vertical of turns which fits my criteria for a "day" of skiing, albeit most of them in the right turn direction. I did it today, getting lost a bunch, in 2.5 hours. I'll need to chop a half hour on that to make it a realistic option for before work skis. It may be worth the work, however, as I have photographic proof that even during dry years, this snowfield never totally melts out. A last remnant of the ice age. That means a lot more skiing, a true endless winter. I see more by continuing to ski. I've never thought about going this long, and I'm excited by the prospect of seeing the tundra turn colors on an almost daily basis. I imagine August up here will be a beautiful, dynamic month where the morning chill and the first signs of autumn will be real. I hit day 170 this morning, and I don't really know how high that figure will climb. And while the number is a cool gauge and motivator, it wouldn't be enough to get me out of bed every morning. The skiing is, in all honesty, quite marginal now. 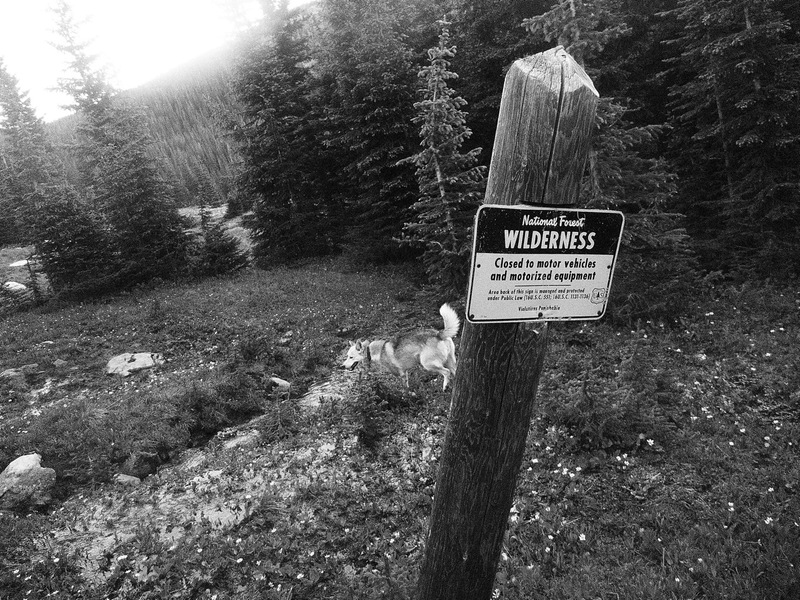 The prospect of seeing the alpine fauna in the morning light, the lowering but still powerful creeks, or a herd of elk is, however, plenty of pull. The alpine world is the best and most vibrant place to be on earth. I do wonder if 200 is possible? Certainly, but at somepoint these snowfields may turn into glacial ice, and there are other things to do – as fun as skiing is, I'm more stoked for a plethora of multi-day backpacking trips Elaine and I have planned for the next two to three months. I think, in all honesty, I started the season off a little too lazily to hit 200. So that's certainly a good goal for next season. When does the calendar stop on a season? Certainly it would stop on October 31, as that was my first day skiing last year. But the criteria I prefer is based on snowpack. When one starts skiing on the new year's snow pack – i.e. it snows 12 inches on September 15, and we go skiing on the 16th…that would be a new year and the days would start fresh. However, right now I'm skiing on the remnants of snow from the 2010-2011 season, so I think it's appropriate to mark the days on this previous year. Of course, how one interprets this rule is arbitrary. 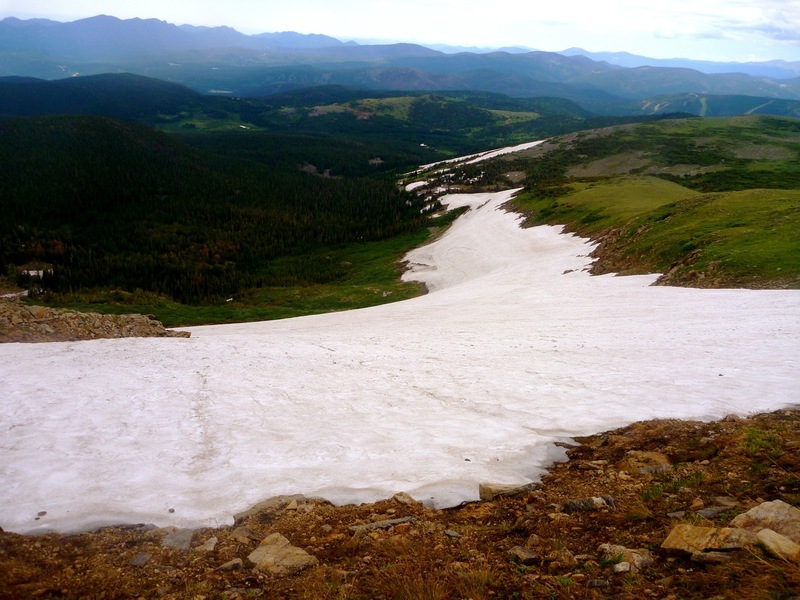 For example, if it snows half an inch up high in August but I'm skiing on an old snowfield that is many feet deep below, does that count as a new snowpack? I'm not really sure – this is new ground for me. There is another standard that used to be my signal that the new season has started – fresh snow on the flanks of the mountains west of town. These days are perhaps my favorite of the entire year and have been for a long time, since I was a kid living in Vermont. 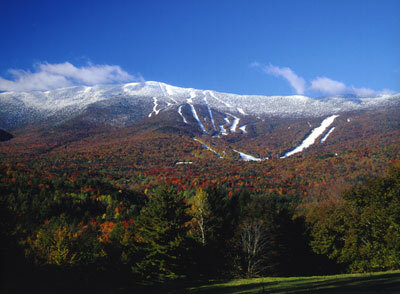 It would usually happen in September…you'd wake up and look up at Mount Lincoln, through the red and orange Maple and Ash trees…and see the upper runs of Sugarbush dusted with snow. Here in Nederland, it's the upper flanks of Bald Mountain, a cold night and an early morning that deliver this joy. It happens in late-August or early-September most years. Once that happens it's game on – the intervals on the bike or foot become more intense, those squats and core work in the gym more urgent. You start inventorying your equipment, figuring out what you need and what needs fixing. Then there is the stream of films – first the rock 'em, sock 'em Matchstick offering, then TGR, then Warren Miller that builds the ski frenzy to fever pitch. Somewhere in there the first big dump happens, somewhere. 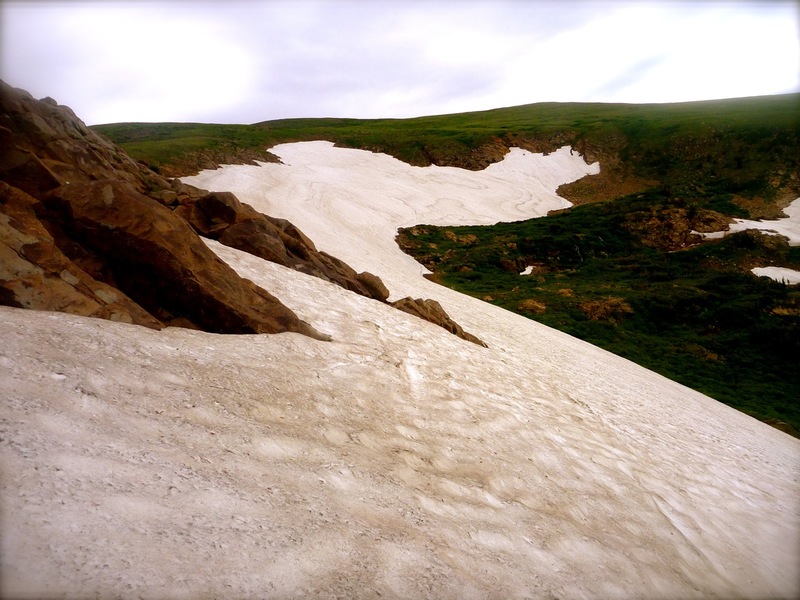 Berthoud, Montezuma, the Elks…and this year…I plan to be there, rock skis ready…for those first magical turns of winter. Back in 2005 I took a NOLS course up in Alaska. It was my first one, it was life changing, and led me on a path where I eventually became a NOLS instructor myself. One day near the end of the course we were sea kayaking in Prince William Sound and woke up in the morning to see snow on the upper peaks. I learned that in Alaska they call that first snow on the peaks "termination dust." The end of summer, the beginning of autumn and winter. Termination dust in Colorado isn't too far off – less than a month possibly. But up north, where the first signs of winter hit, there is clearer evidence. 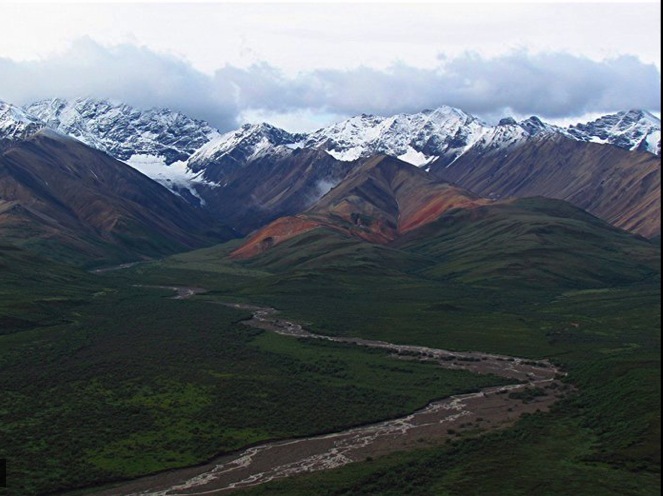 In Denali National Park they woke up this morning and found the peaks with a fresh coating. Termination dust.